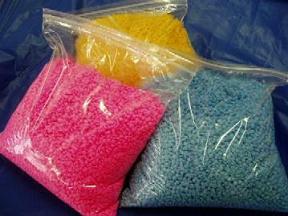 Our Soy Beads are 100 % natural, environmentally friendly. You can melt them by placing on to warmers in your home, or you are able to enjoy your soy beads by placing them into a sachet and hang in your closet, or place in your dresser drawer.You can even place in your car under the seat. 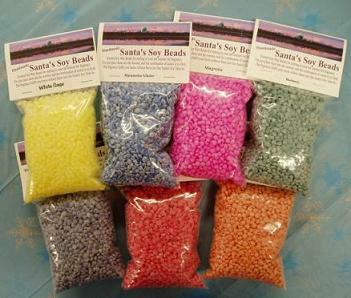 You don't need to melt them to enjoy the scent, so take your soy beads anywhere with you! We have a wide selection of scents. You are also able to enjoy not only one scent but also create your favorite brends by mixing our soy beads. Each scent is freshly packed in 5 oz pack. We also gladly take bulk orders. If you would like to order more than 5 oz, please request it by e-mail: santascandles@yahoo.com.